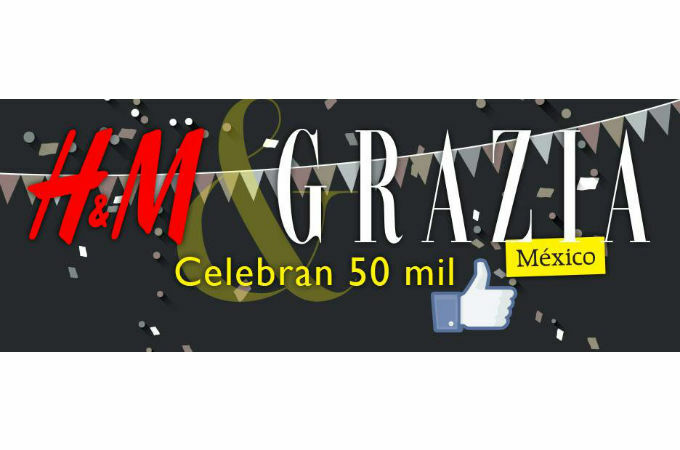 The smart team of Grazia Mexico managed to reach 50k likes on Facebook partnering up with H&M. The editorial team contacted the Swedish brand and agreed to get 25 discount cards of 25% for the readers who participated to the initiative. Everyday for five days two questions were asked to Grazia Mexico followers on Facebook and the answers were posted on Grazia.mx (a nice way to increase traffic). Questions regarded H&M, obviously, and an example was “H&M just launched a special collection inspired on a music festival, which music festival?”. Participants had to reply via email and the first five correct answers each day were the lucky winner of a card.